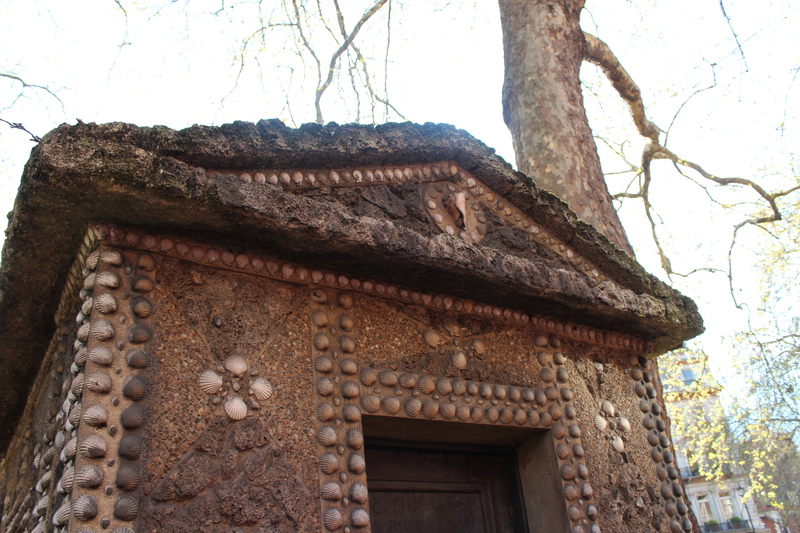 Hazelle Jackson’s lovely little book on Shell Houses and Grottoes inspired me to discover more about the two unusual shell huts in Lower Grosvenor Gardens, just across the way from Victoria Station. With more than a little help from Westminster City Archives and one of the current gardeners, the Londonphile has pieced together the story of these intriguing little structures. 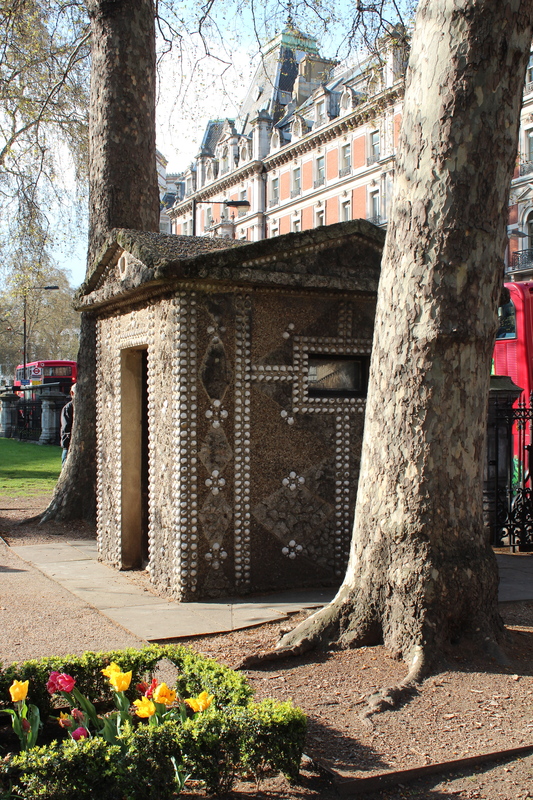 The shell huts were built in 1952 as part of a re-landscaping of the Lower Grosvenor Gardens in a French style to commemorate Marshal Foch and Anglo-French understanding. The gardens already had a statue (by Georges Malissard) of Foch – the French hero of the First World War – which was erected in 1930. 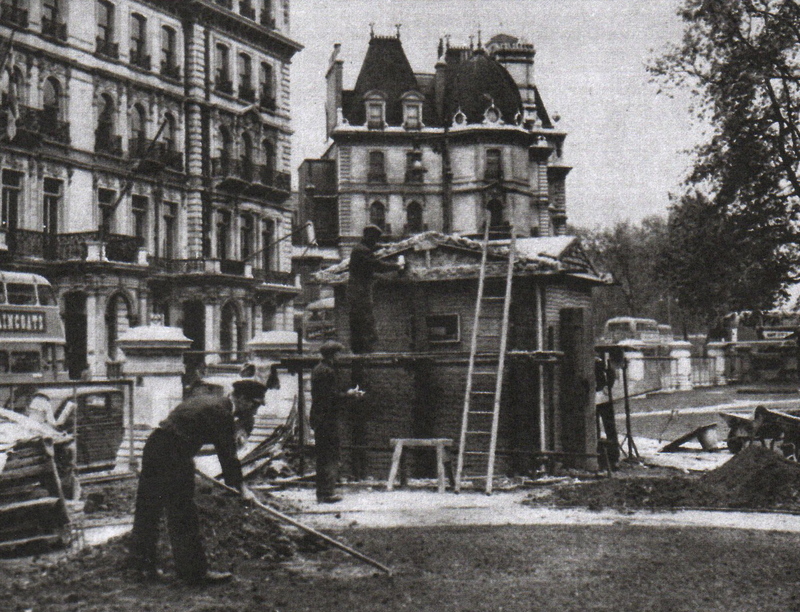 During the Second World War, Grosvenor Gardens was covered with air raid shelters and littered with dust and debris, so a clean-up was in order. An initial one took place in 1948, at which time the photograph below was taken, giving us some idea of how the gardens looked at this point. 1948 view. Source: 'The Sphere', 4 September 1948. As part of the new French look, a number of the existing large trees were removed, a large arabesque pathway formed with gravel, and a fleur-de-lis centre-piece composed with flowering plants. These changes were not to everyone’s liking, and it’s amusing to read newspaper accounts from the time, some of whose comments (‘inexplicable’, ‘completely useless’, ‘perhaps they are going to stand the thing on end’, ‘wallpaper patterns turned into paths’) seem to express a certain lack of regard towards French design and certainly a sense of loss about the shady, grassy areas that were no more. 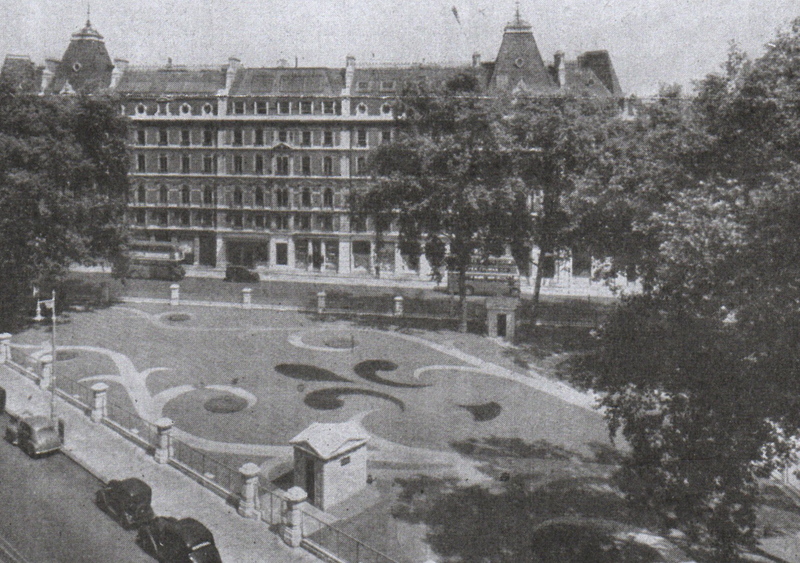 The official opening ceremony for ‘London’s French garden’ was held on 18th July 1952, when the French Ambassador dedicated it to Foch’s memory. 1952 view. Source: 'The Builder', 1 August 1952. 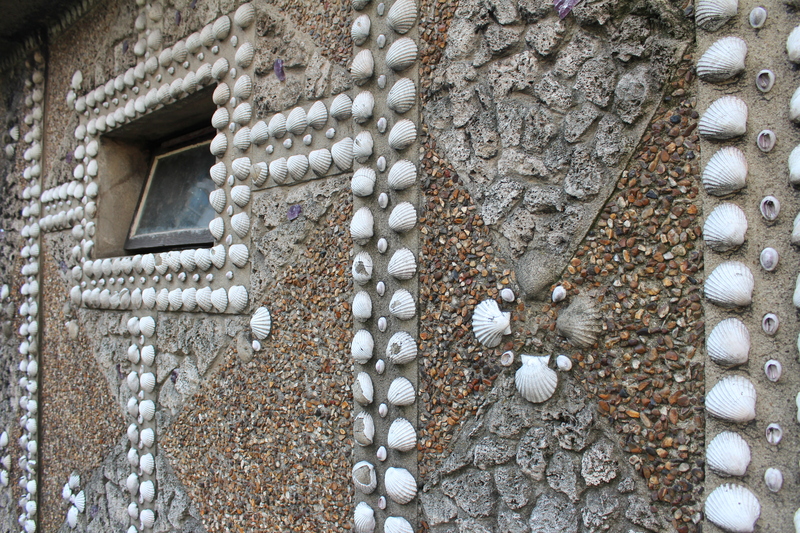 The two shell huts – and indeed the rest of the park – were designed by the then architect-in-chief of the National Monuments and Palaces of France, Jean Moreux, who also designed the Institut Francais library in South Kensington. 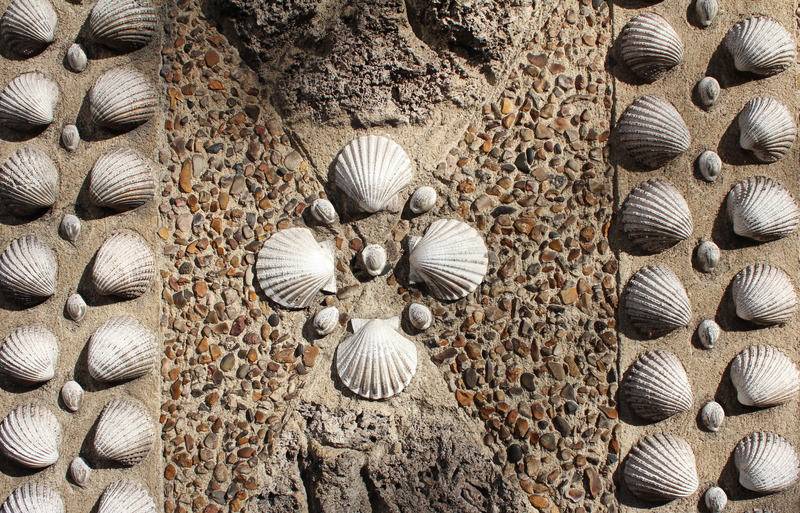 Some of the shells adorning the huts were brought over from France, while it was thought that others would also be sourced from English beaches – making for a very cross-cultural construction indeed. The huts were said to be ‘in the style of those small pavilions that were known as fabriques in eighteenth-century France’ – the old French term for what is known as a folly in the U.K. Under construction. Source: 'The Sphere', 24 May 1952. Despite their whimsical decorations, the huts were in fact designed with a practical purpose in mind: they were for the use of the park’s gardeners, with one designated for the storage of tools and the other ‘for the attendant’. However, a very helpful current garder told me that they now only have access to the western hut – the eastern hut is kept locked. 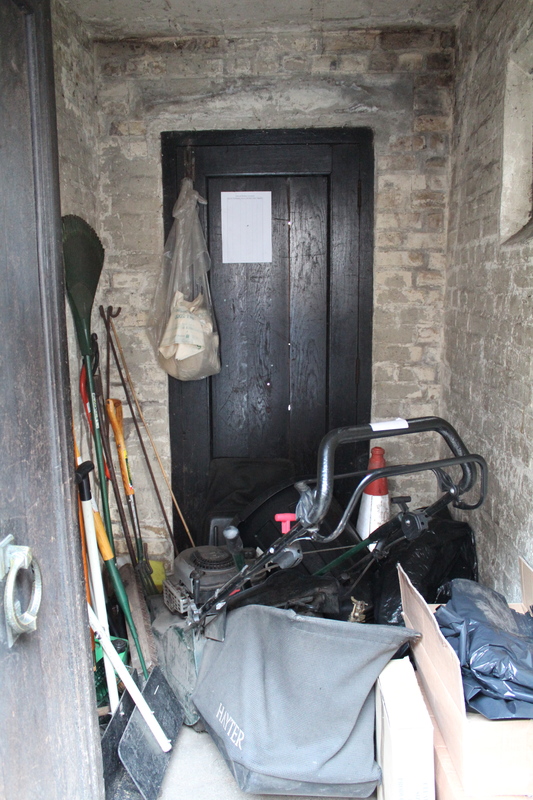 He was kind enough to unlock the hut still in use – and as the photo below shows, it is still used for garden storage today, including a lawnmower. 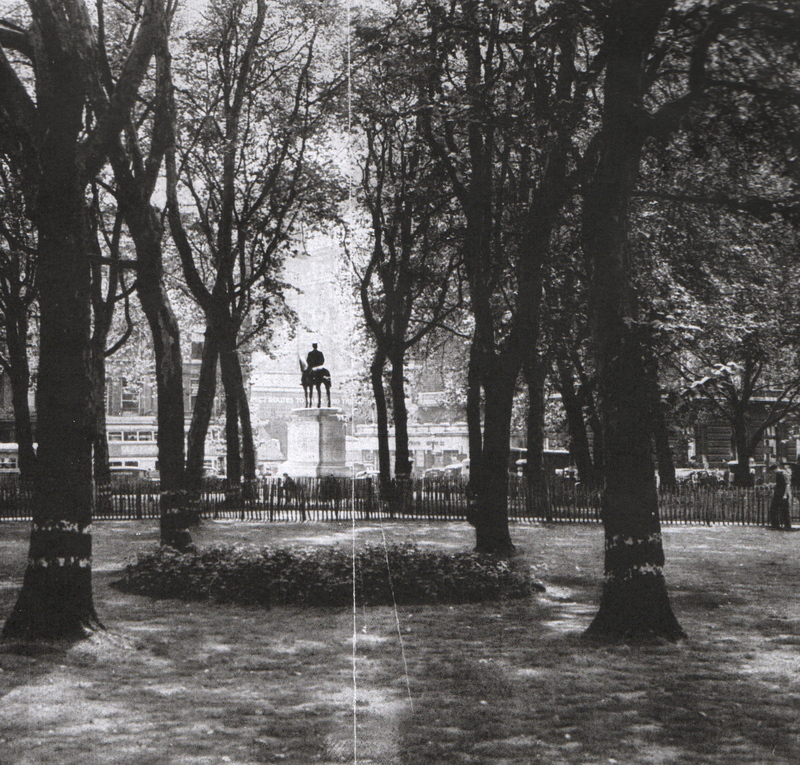 Intriguingly, the park seems to have changed yet again over time. The central fleur-de-lis motif has disappeared, and the curving arabesque gravel paths have been replaced by asphalt ones, still following circular lines but with a central path. This has meant that more of the grassy zones have been able to re-colonise the garden – which no doubt would have greatly pleased the aforementioned writer who bemoaned their loss. But the huts still remain – one has some graffiti on its door but otherwise they seem in remarkably good condition, with most of their cross-cultural shells still attached.